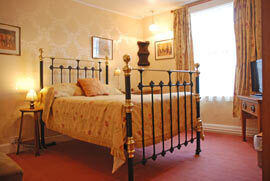 A traditional 17th Century Cotswold Inn offering accommodation with local and seasonal home-made dishes. 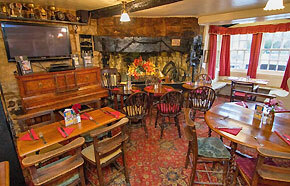 The Crown and Trumpet, Broadway has been voted Overall Shakespeare Branch CAMRA Pub of the Year 2012. Winners of The Good Pub Guide’s – Value Pub of the Year 2016 award in recognition of outstanding value & quality food and drink. We are also situated just off The Cotswold Way and it is a wonderful walking area and the Crown and Trumpet Inn is very central for touring Shakespeare's Country and both the Cotswold and Malvern Hills. Being a small Cotswold Inn, we only have five rooms : 4 double bedrooms and 1 twin bedded room, all with en-suite facilities. Weekends are a minimum of two nights stay. All of our rooms are ensuite, furnished to a high standard and include television, wifi, and tea and coffee making services. Our prices are Room Only including VAT. Breakfast is available for £10 per person. *Arrival should be no later than 11.00 pm. *Please vacate rooms by 10.30 am on departure day. *Weekends are a minimum of 2 nights stay. *We have parking for 5 cars but the main village car park is just around the corner has free parking from 6pm to 8 am.